Computer animation has been an active research area in computer graphics for many years. The techniques developed in this area are an important part of many modern computer tools in a range of applications, such as virtual reality, computer games, special effects in movies and commercials, virtual prototyping and training simulators, just to mention a few. More recently, physically-based simulation has become a popular topic in computer animation. 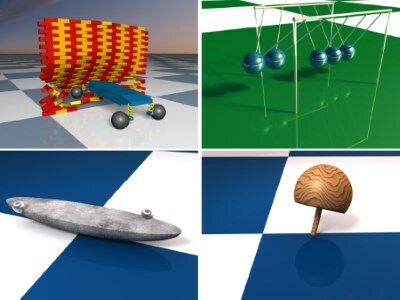 Many different simulation methods are being investigated to generate realistic animations of rigid bodies, elastic rods, cloth, deformable bodies and fluids. This pro-seminar focuses on topics in computer animation and physically-based simulation in computer graphics. All topics will be introduced in the first meeting. Each participant will get one specific topic which must be summarized in a short paper using LaTeX and presented in a block seminar. The participation in all meetings is mandatory.